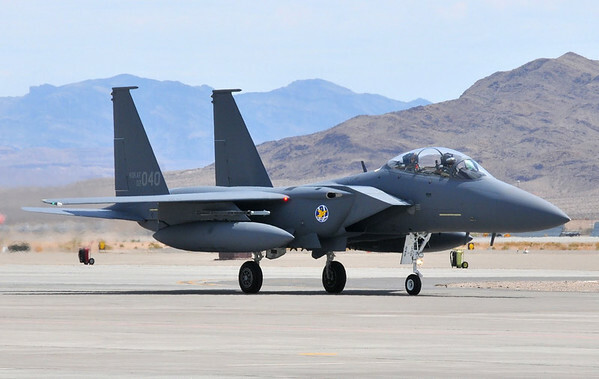 Boeing has announced that it has delivered three more F-15K Slam Eagle aircraft to the Republic of Korea Air Force (ROKAF) at Daegu Air Base on the 20th of August. The aircraft left the Boeing St. Louis facility on Aug. 16 and made stops in Palmdale, Calif., Hickam Air Force Base, Hawaii, and Anderson Air Force Base, Guam, before arriving in Korea. This brings F-15K deliveries to the RoKAF to 53 aircraft out of a total of 61 ordered. Forty aircraft were ordered in 2002 with deliveries starting from 2005, with another 21 aircraft ordered in 2008 which are currently being delivered to the RoKAF starting in 2010. One aircraft from the first batch had been lost in 2006. The RoKAF's F-15Ks are currently serving with the 11th Fighter Wing's 102nd, 122nd and 151st (or 110th - conflicting information) Fighter Squadron at Daegu.